By the way, since when does Pasadena get to claim so many important bowls? It doesn't really have a college team of its own, aside from those warrior-nerds of Caltech. Ever seen the Caltech basketball team? They're the topic of my latest screenplay, "White Guys Can't Pass Either." We at CxB3 appreciate the "warrior-nerds" title -- that is pretty cool -- but we're not sure about the proposed screenplay. Seems a bit artificial, forced, and even off color. 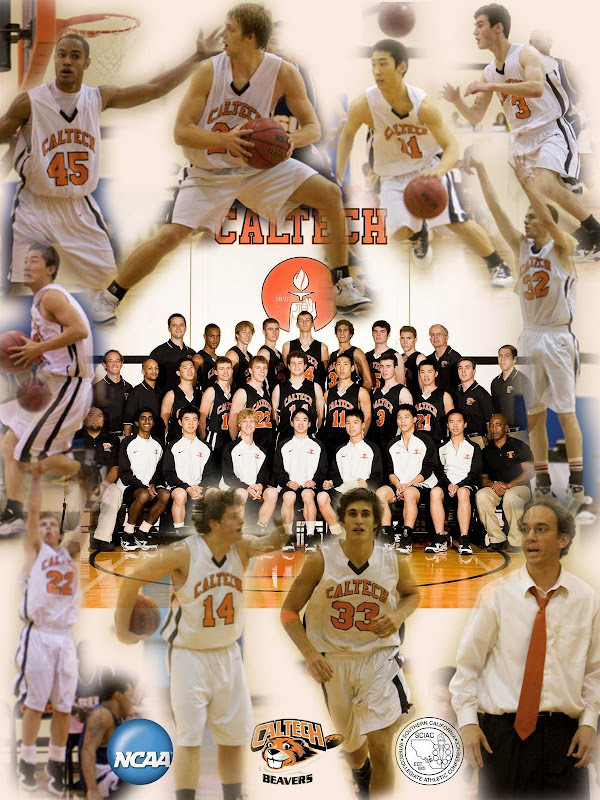 First, there are 16 players on the active Caltech roster and just half of them are white. Second, in his attempt to creatively mock a sequel to the film about white men not jumping, he failed to note -- probably because he did no research -- that the Beavers are a good shot blocking team. Third, the team in Pasadena actually boasts a decent assist per field goal ratio. We explored this statistic in comparison to the rest of the SCIAC and a handful of the top teams in the nation, with the assumption that a good pass often leads to a made bucket. Caltech falls in with a decent rate -- a respectable 54.8 percent of its field goals have an assist factored into the play. How do other teams rank? Well, Maryville leads the nation in assists per game (20 per contest) and 58.1 percent of its FGs are linked to an assist. Williams, ranked second in the d3hoops.com poll, is at 53.9 percent. No. 1 Wash U, the defending national champion, is at a blistering 66.7 percent. Claremont-Mudd-Scripps, the regular season SCIAC champ, stands at just 43 percent. Check out the full SCIAC standings in relation to assists/field goals. Not that Asst/FG is a significant predictor of success, but interesting to say the least. Maybe Erksine, at the very least, can come see for himself next season.